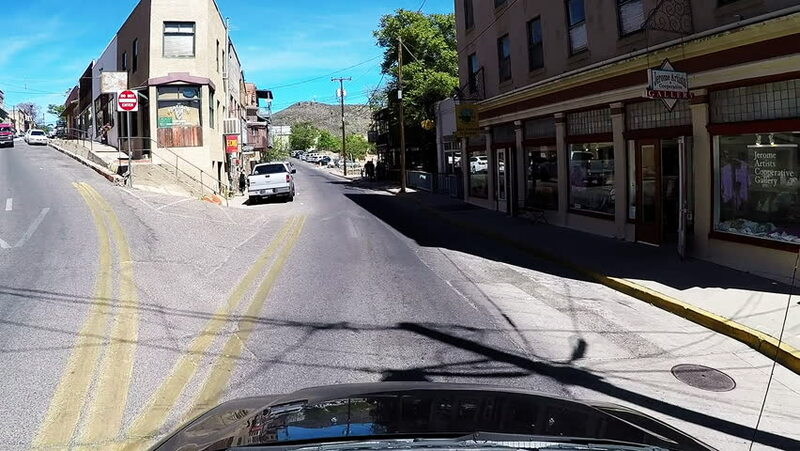 JEROME, AZ/USA: May 4, 2017- Car view driving in historic Jerome Arizona. A vehicle travels through the narrow streets of an old mining town in the hills of the Southwest. hd00:13SAN FRANCISCO - CIRCA 2010: Cable cars downtown circa 2010 in San Francisco, CA. hd00:13SAN FRANCISCO, CA - CIRCA 2010: The cable car, circa 2010 in San Francisco, CA. 4k00:17SANTA CRUZ de TENERIFE, TENERIFE / SPAIN - DECEMBER 1, 2017: A popular cruise ship destination and a burgeoning oil exploration industry.